Sabourin, Diane. "Pointe-à-Callière, the Montréal Museum of Archaeology and History". The Canadian Encyclopedia, 11 April 2016, Historica Canada. https://www.thecanadianencyclopedia.ca/en/article/musee-pointe-a-calliere. Accessed 25 April 2019. ​A major attraction in Old Montréal, this museum complex was opened on 17 May 1992 to showcase and raise awareness of Montréal’s history and archaeology. Musée d'archeologie et d'histoire de Montréal, Point-à-Callière, Montréal, architects Dan Hanganu and Provencher Roy (photo by Roderick Chan/courtesy Dan Hanganu). Pointe-à-Callière in Old Montréal. 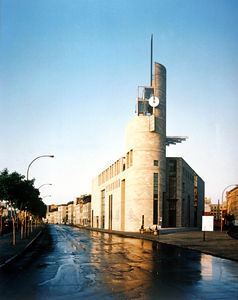 Completed in 1992 the building successfully combines the architect Daniel Hanganu's refined industrial aesthetic with a sensitivity to the site's historical and cultural context (courtesy Musée Pointe-à-Callière). A major attraction in Old Montréal, this museum complex was opened on 17 May 1992 to showcase and raise awareness of Montréal’s history and archaeology. Located at the very birthplace of the city, its sites, buildings and collections give visitors a tangible appreciation of its rich history. An underground network linking the complex’s various sites and buildings is set to open in 2017. The archaeological remains of the site where Montréal was founded, namely Fort Ville-Marie and Callière's Residence, will also be open to the public and highlighted during celebrations marking the city’s 375th anniversary. On 17 May 1642, Father Vincent held a mass celebrating the founding of Montréal, an important event attended by Paul de Chomedey de Maisonneuve, Jeanne Mance and their companions (see Maisonneuve and the Founding of Montréal). On 17 May 1992, exactly 350 years later, a museum of archaeology and history opened on a point of land at the confluence of the St. Lawrence and Saint-Pierre rivers. The museum is the only archaeology museum of its size in Canada. This point was named Pointe-à-Callière in honour of its first European owner. Chevalier Louis-Hector de Callière, third governor of Montréal, bought the land in 1688 and built a home on it in 1695. The museum owes its existence to archaeological digs conducted on the site in the 1980s. The excavations not only unearthed remarkable architectural remains, producing a large collection of artifacts, but they also revealed that the site had been inhabited by humans for much longer than the Europeans had occupied it, with an Aboriginal presence dating back at least 1,000 years. The museum consists of six buildings and structures that encourage exploration of both the complex’s surface and its archaeological digs. Visitors enter the complex through the Éperon, which rests on the former foundations of the Royal Insurance Company, whose premises were built in 1860 and torn down in 1950. Triangular in shape and embellished with a tower that looks out over the Port of Montréal, it houses the reception desk, a temporary exhibition hall, a multimedia room and various services. The second component of the complex is Place Royale, and the archaeological crypt that lies beneath it. In 1989, the Ministère des Affaires culturelles and City of Montréal did extensive archaeological work, revealing various structures that had been built over the centuries. On view are the remains of posts from a palisade (1684) and of the first guardhouse (1698). Stones from the city’s fortifications and a cobbled street dating back to the 18th century can also be seen. Finally, the walls of Baby-Bagg House (1767) and the Würtele Inn (1802), the foundations of a low wall that enclosed Customs Square (about 1860) and the cement base (about 1940) on which a monument to the first Montrealers stood, provide an overview of Montréal’s rich archaeological heritage in one location. Visitors can then admire the Ancienne-Douane Building, a sign of the British presence in Montréal. Designed by English architect John Ostell, it was built between 1836 and 1837, and expanded in 1881. This third component of the complex is currently home to the museum shop and part of the permanent exhibition. 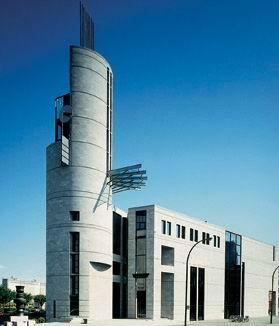 The fourth component of the museum is the Youville Pumping Station (1915), Montréal’s first electrically operated wastewater pumping station. Built according to plans by another Brit, engineer Stuart Howard, the Victorian-style station has been converted into an interpretation centre. Carefully preserved motors, pumps, valves and electrical equipment are used to illustrate the station’s operation. The station is open to school groups and available for private events. In 2000, the museum bought 214 Place D’Youville, just steps from the Éperon. Built in the 19th century on part of the site where Montréal was founded, the property was occupied by the Townsend Company for over 75 years. All ship servicing in the Port of Montréal used to be done out of this building. An archaeological field school, established in partnership with Université de Montréal, moved into the building in 2002. The school’s various projects turned up the remains of Callière’s Residence and Fort Ville-Marie. The building was torn down in the fall of 2014 to make way for a new pavilion showcasing the remains of this important site in Montréal’s history. The new building is set to open in 2017. The tour ends with the Mariners’ House, located at 165-169 Place D’Youville, which the museum acquired in 2004. Now used mainly to host school groups, in 1875 it was home to the Montréal Sailors’ Institute, which provided services for sailors in port in Montréal. It later became the property of Œuvres de La Maison du Père and was used it to house men in need. The house reopened in 2013 following a complete revitalization. A major expansion project is underway to make Pointe-à-Callière a world-class heritage institution. It is scheduled to be completed in 2017, in time for Montréal’s 375th anniversary and the 25th anniversary of the museum. Dubbed the Montreal Archaeology and History Museum Complex, the project involves linking a dozen historic and heritage sites through an underground network. The William collector sewer, built between 1832 and 1838, will be the main artery between Pointe-à-Callière and McGill Street. The complex will include the existing buildings and showcase the remains of Fort Ville-Marie (1642), Callière’s Residence (1695), St. Ann’s Market (1832) and the Parliament of the United Province of Canada (1844–49). The Central Fire Station will be converted into a service centre, and an exhibition will showcase the history of the formerHôpital général de Montréal, built in 1693. The International Building, built beneath Normand Street and adjacent to the Dominique-Ducharme (formerly Customs Canada) Building, will be connected to the museum’s underground network and provide space for international exhibitions. On the surface, landscaped urban gardens at the heart of the historic quarter will connect the complex’s various elements into a unified whole. In 2010, the museum won gold at the Grands Prix du tourisme Québécois in the category for tourist attractions with 100,000 or more visitors, and in 2012, Francine Lelièvre, the museum’s executive director since 1992, received the Lieutenant Governor's Award from the Heritage Canada Foundation for her contribution to Québec and Canadian heritage conservation.